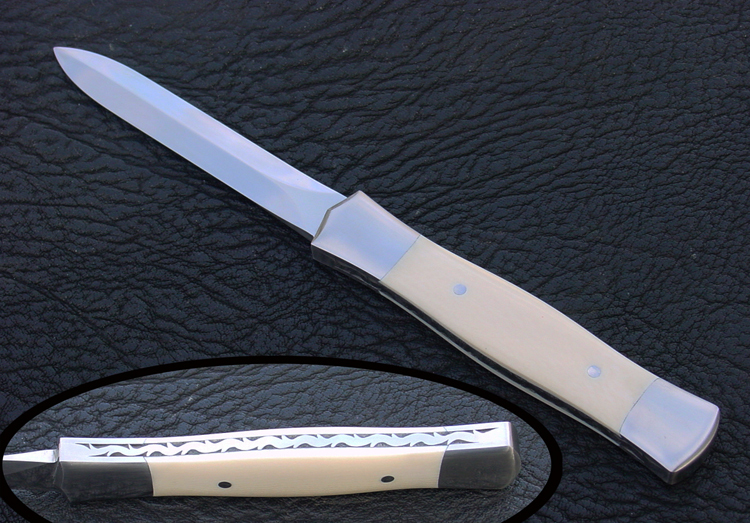 This gallery shows a few styles of concealable prostitutes' knives. Made to be used as a back-up for any sticky situation. prostitutes' knives made to order. the dirk. The wider version is known as the prostitues' dagger. and is fileworked on both sides of the tang. The bolsters are from 416 stainless steel. Handle is elephant ivory. Price for a similar piece is USD$400. custom hand stitched leather sheath mounted with a boot clip. 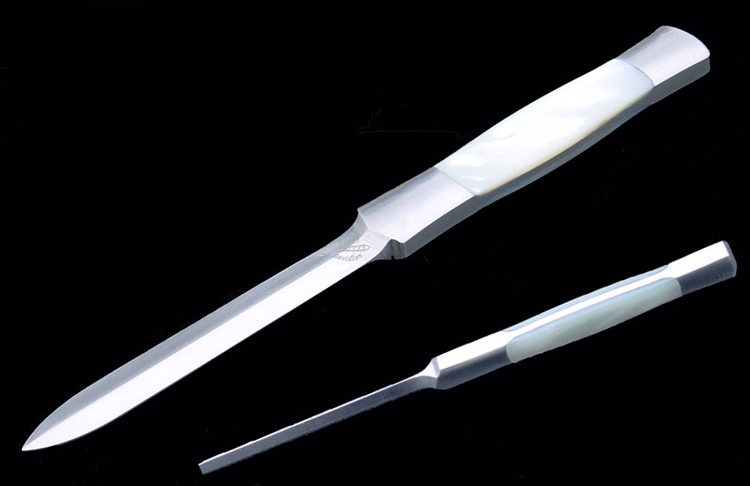 Below shows a slimmer version of the prostitutes' knife. 3/8" thick 440c stainless steel. That's right.......3/8" thick. of the blade. All made one piece of 3/8" thick steel. The handle is gold-lip mother-of-pearl. Price for the 5" integral design prostitues' dirk is USD$700. steel types and handle materials. Below shows a prostitutes' dirk with a black micarta handle. It has a 5" blade made from 1/8" thick 440c stainless steel. The bolsters are 304 stainless steel. Price for this prostitutes' knife is USD$250.